Pick your favorite sweet tea or a cup of coffee and curl up in a comfortable chair outside as you get ready to read the heart and soul of Bobbie Houston as she brings power to the heart of every woman in "The SISTERHOOD." Bobbie invites every reader to explore their beliefs about God, themselves, what shapes their beliefs and the world around them. I love his this book challenged me to grow in my gifts, reach far beyond my potential and look for greater possibilities. This book has moments that touch your soul, moments that ask you to stand bold, ones that will make you cry and others that will make you laugh. 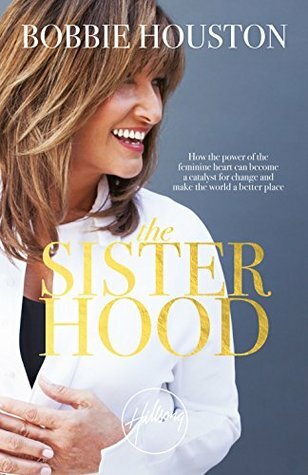 Whatever you get from reading "The SisterHood" will be life giving and life changing all in one. Bobbie writes with a style of authenticity, wisdom, and an invitation, you can help but feel compelled to do something rather than sitting around, doing what you've already been doing. She makes it very clear that the lives we touch with the here and now; impact Eternity and sitting on our hiney isn't doing a thing, for anyone. This book will make you feel empowered because her passion will ignite something in you that may have been dead for a long time. I highly recommend this book and want to thank Faith Words for providing me an ARC copy for my honest review. I give this book 5/5 stars. For more information or to purchase your own copy, head here. BOBBIE HOUSTON, together with her husband Brian, is the founder and Senior Pastor of Hillsong Church. Bobbie also founded The Colour Sisterhood foundation in 1997, a worldwide movement of women united to make a difference and make the world a better place, which sponsors conferences, Sisterhood projects and initiatives. She and her husband have three grown children and live in Sydney, Australia and Orange County, California.